We we're placed in the Group C with Queens, Castle Hill, Ellingham, Christ Church (New Malden) and Latchmere. First game was against Castle Hill winning 9-0 what a start! We continued to win all our remaining games and drawing one game in our group. We finished top of the group scoring 18 conceding 1 goal. And qualified for the knockout quarter-finals playing Tolworth girls. This was a very tough game with Tolworth taking a early lead. This was a real test as Stanley found themselves 0-1 down for the first time in the tournament. The girls tried endlessly hitting the post three times. Was it going to be Stanley Girls Day? Definitely Clem got a goal which meant the game went to penalties. We scored all three and unfortunately Tolworth missed one so onto the semi-finals. Up next we're East Sheen which was an end to end game with both teams playing very well. The game ended 0-0 and to be honest both teams didn't deserve to lose. On to penalties knowing we had a great chance with goalkeeper Grace. Olivia and Clem both scored our penalties and Grace saved two of East Sheen’s! So on to the final against Sheen Mount where the girls unfortunately lost 2-0 but were a credit to Stanley school they all played so well and were very sporting throughout the day. 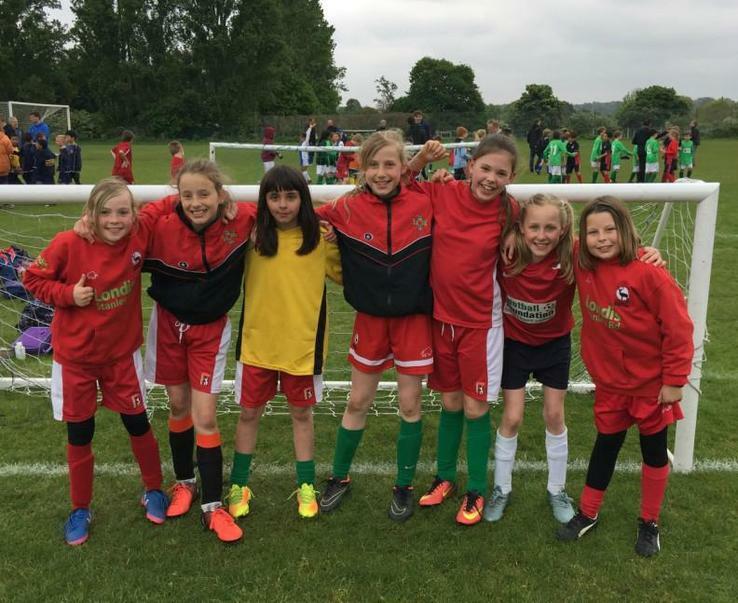 This was a great achievement as most of the girls were playing a competitive game for the first time. That's three years we made the final! Hopefully next year we can go on and be Champions.